Opened in 1671 this hotel is the oldest in the collection of The Most Famous Hotels in the World®. We installed the Path of History there in 2011. 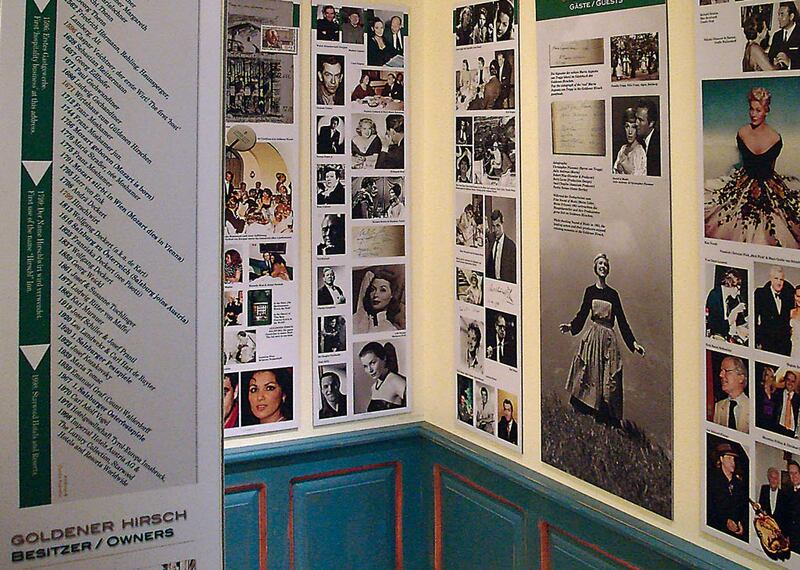 The “Path of History” of the Goldener Hirsch in Salzburg is set in a charming, wood panelled country style room. A charming ante-room to the hotel’s business centre forms the stage for our PATH OF HISTORY at this famous hotel. 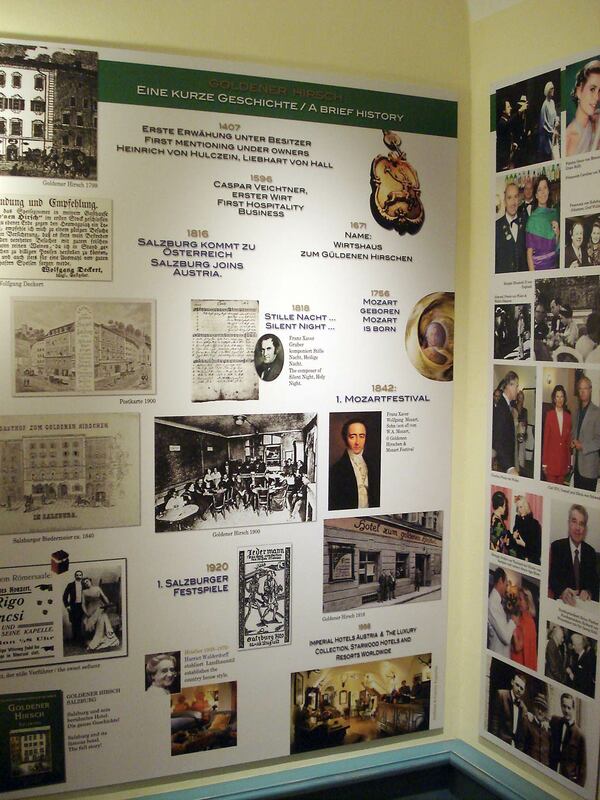 The hotel’s sales team and front office staff uses this exhibition on a daily base. It is the ideal start for a journey down memory lane. It serves as the perfect backdrop for a good conversation. Hotel guest spend many inspiring moments in front of the plates, filled with photography of the hotel’s rich history and its most famous patrons. One of the walls of the Salzburg Goldener Hirsch Path of History.